Dracula Untold was made for the purpose of launching an avenger’s type franchise starring the classic Universal monsters. The film was a financial success, however, was panned by critics. Dracula Untold tells the origin story of Count Dracula one of Hollywood’s most famous villains. The film largely ignores the Bram Stocker novel and instead tries to establish an origin story of the dark prince based on Vlad the Impaler. When I first heard of Dracula Untold the original title for the film was Dracula: Year One which is clearly influenced by the Batman comic and animation Batman: Year One. Batman: Year one is one of my favourite stories in the Batman franchise and the Year One arc of storytelling has become popular in comics ranging from The Justice League to Judge Dredd. Hearing that Dracula was going to be the protagonist of the film intrigued me and I wanted to see how they would touch on the topic of Vlad’s renowned cruelty. Unfortunately, any hopes I had for this film were dashed upon seeing the convoluted mess it was. The story is paper-thin, any ambitious ideas are ignored and its plain style over substance. The opening scene of the film is a poor narration of the back-story of Vlad Tepes. Vlad has a reputation as a fierce warrior with a deep hatred of the Turks. Vlad rules over his kingdom of Wallachia and Transylvania with his wife and child living a religious life. The Turks enter his land and demand a tribute of 1000 boys or they will face their wrath. Vlad seeks the power of an ancient evil which will turn the tide in his favour to protect the ones he loves. 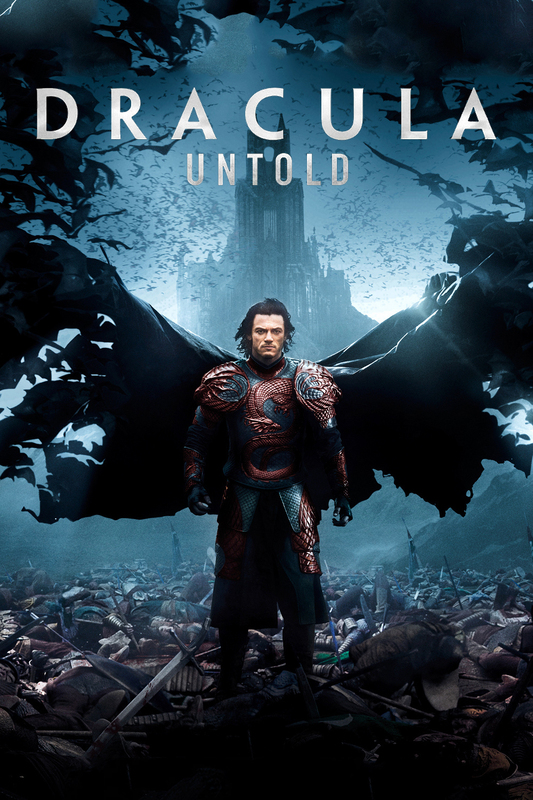 Dracula Untold suffers from an identity crisis, it can’t decide if it’s an epic, adventure or a superhero film as it never fully divulges into any genre. We get large armies yet no grand battle scenes, we see Vlad’s powers yet none are fully explored, we are told about his new curse yet never see his struggle. The film has so many great sources of ambitious ideas but ignores them all. Bram Stocker’s novel portrays Dracula as the villain but he’s a tragic character who becomes the monster that he is out of grief and bitterness. The history and mythology of Vlad the Impaler is a fierce advisory to the Ottoman Empire who disposes of his victims in the vilest and bloodthirsty ways. None of this is even glimpsed at in Dracula Untold instead we get a Vlad that’s a decent bloke who feels bad about his vicious acts, it’s all so damn safe. The cast is pretty much forgettable with the exception of Luke Evans, the man deserves better roles and I’m on board for him to be a leading actor. Evans does his best to show a conflicted man, while I think the character is written to be too righteous I still enjoyed Evans’ performance. Dominic Cooper as Mehmed II is so underwhelming it leaves you wondering how he could lead an Empire. In fact, the portrayal of all the Turkish characters comes across more as a bunch of sleazy guys who are more likely to roofie your drink than cut you down. The film simply refers to the Ottoman Empire as the Turks which is ludicrous as the Ottoman Empire was made up of dozens of nations and different people. It’s another poor portrayal of a largely Muslim force by stereotyping them as one nation and giving them no development or motivation other than to oppose the protagonist. If the film has one thing going for it, it’s that it’s pretty. The cinematography stands out in many long shots and the gothic interiors of Vlad’s hold are impressive. The film was shot in Northern Ireland and it really shows off the beautiful landscape. While I may be sinking my teeth into the film too much for technical reasons my biggest gripe with Dracula Untold is that it’s boring. If you’re not going to pay homage to the source material at least put your resources into making a fun popcorn flick. Sadly this isn’t the case here as most fight scenes use poor effects and cut away from the action. There’s a scene where Vlad charges towards an oncoming force, he’s only obtained his powers and I was excited to see what he was capable of. As soon as the scene gets interesting with him cutting through Turks, the camera cuts away and shows a falling sword reflecting snippets of the action unfolding. It’s such a cop-out, it doesn’t even look flashy, exciting or stylish it just takes us away from the action and deprives the audience of what could have been a landmark scene. Gary Shore in his directorial debut has made a visually pretty but toothless entry to the Dracula franchise. Although a fellow countryman, I cannot give Shore any credit or praise for this soulless and boring movie. Dracula Untold fails to use the foundations it sorely needed from not one but two rich and sprawling stories of Bram Stokers Dracula and Histories own Vlad the Impaler. Luke Evans acting talents are squandered here and Charles Dance needs roles which don’t include licking people’s faces. My fellow reviewer, Adam summed the film up perfectly in saying Dracula Untold should have stayed untold.